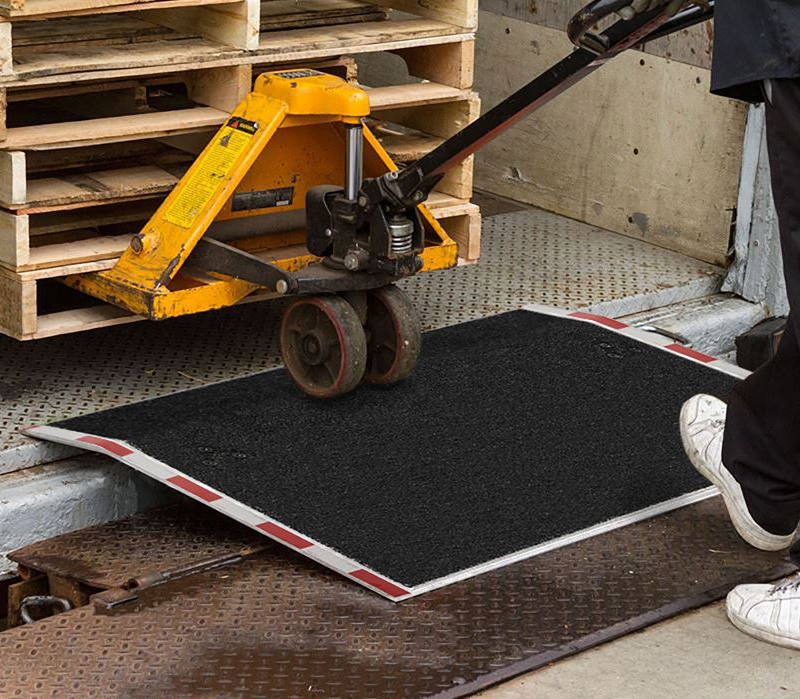 These aluminum loading dock plates feature an industrial strength epoxy grit surface, ensuring a safe working environment by offering maximum traction in all weather conditions. Two attached legs secure the plates in place between the loading dock and trailer to keep them from shifting, and beveled edges provide a stable transition from trailers to docks. 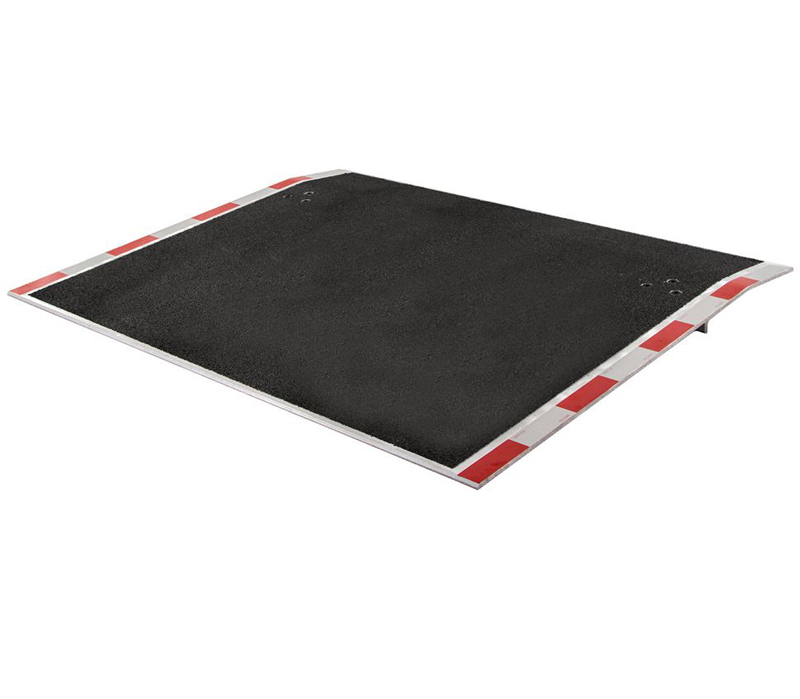 Manufactured from lightweight aluminum, these dock plates are easy to pick up and move around your loading dock area.